Patna, January 16: Bihar has hiked the fees for getting two and three-wheelers checked for pollution fitness. 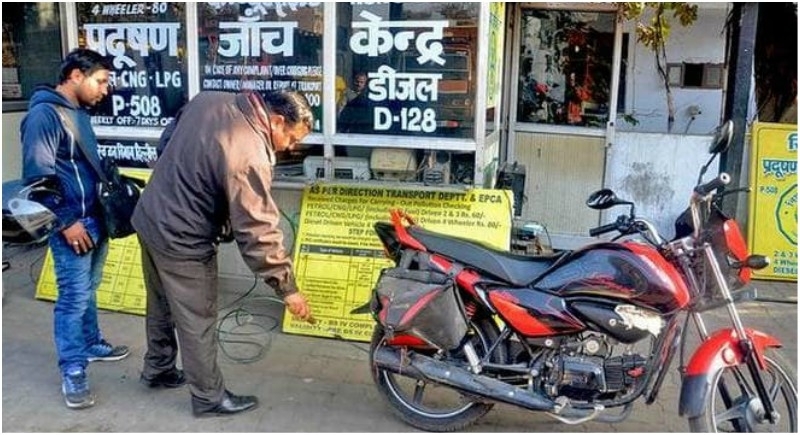 The Pollution Under Control (PUC) fee has been increased from Rs 50 to Rs 80 for motorcycles; while for three-wheelers the charge will be Rs 100 from Rs 80. This decision was taken by the state cabinet on Tuesday. The fee for availing PUC certificate for cars, however, remains unchanged at Rs 120. The Cabinet also approved the proposal for the Bihar Aggregator Policy 2019, which makes it mandatory for private operators like Ola and Uber to obtain license and permit, he said. The license fee for private operators running four-wheeler commercial vehicles is Rs 15,000 for three years, while the permit fee will be Rs 1,000, the principal secretary said. The Cabinet also approved the draft Bihar State University Service Commission (Recruitment and Service Conditions for Chairman and Members) Rules, 2019, he said. The decision (framing of rules) would expedite the appointment of teachers in colleges and universities of Bihar. Besides these, it sanctioned Rs 591.77 crore for construction of Sri Ram Janki Medical College and Hospital, Samastipur, Kumar said, adding, the Bihar Medical Services and Infrastructure Corporation (BMSICL) will now float tender for the work. The Cabinet gave its nod to amendment in Bihar Pension Rules, 1950, as per which 'post-retiral' benefits will be withheld till the disposal of the matter if any departmental/judicial proceeding is pending against any employee at the time of his/her retirement. A total of 19 decisions were taken at Tuesday's Cabinet meeting chaired by Chief Minister Nitish Kumar.